If you have never been to Goodwood Revival then you are most definitely missing out! Whoever you are, old or young, vintage or not, Goodwood provides something for everyone. Whether it be the 1950’s themed fairground, the famous motor circuit, vintage car exhibitions, flyovers or the thousands of people decked out in vintage fashion. 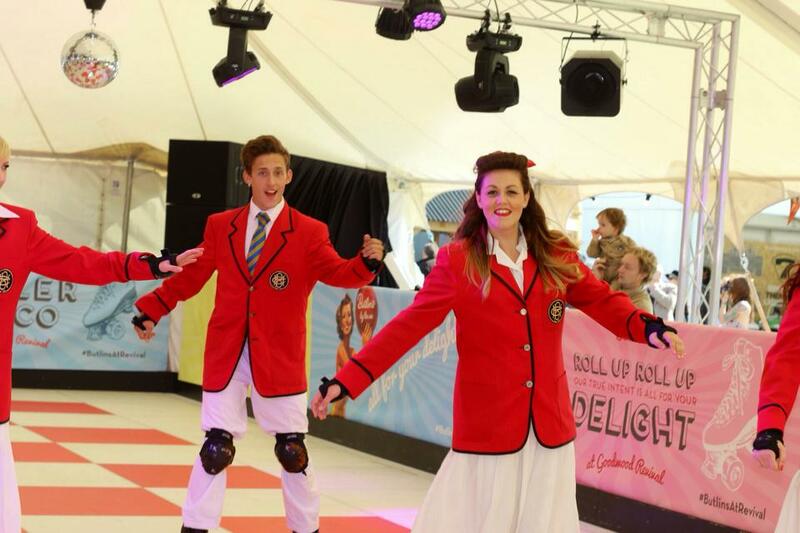 Or of course, the Butlin’s Rock ‘n’ Roller disco! This year’s Goodwood Revival certainly did not disappoint. 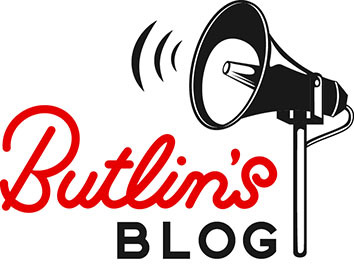 With a 1950’s themed Rock ‘n’ Roller-rink, Butlin’s had the crowds venturing ‘Over The Road’ to put on their dancing skates and show off their moves! Our famous Redcoats joined in the fun welcoming guests, handing out giveaways, and teaching them to skate, whilst wearing their 1936 Redcoat replicas, as worn by the team throughout our 75th Birthday, four years ago. 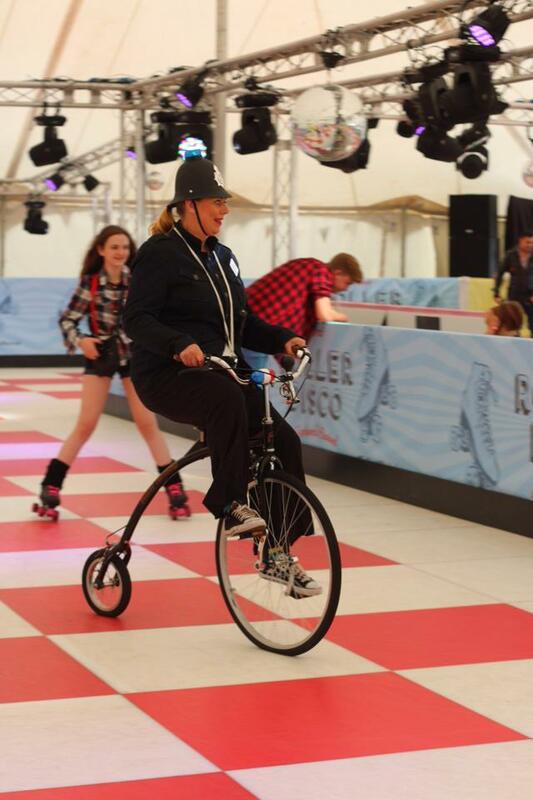 Spectators were entertained by Butlin’s street theatre, including WPC Butlin’s who rocked up on a vintage Penny Farthing and Doris, the lollypop lady who wooed the crowds with her attempts of skating. 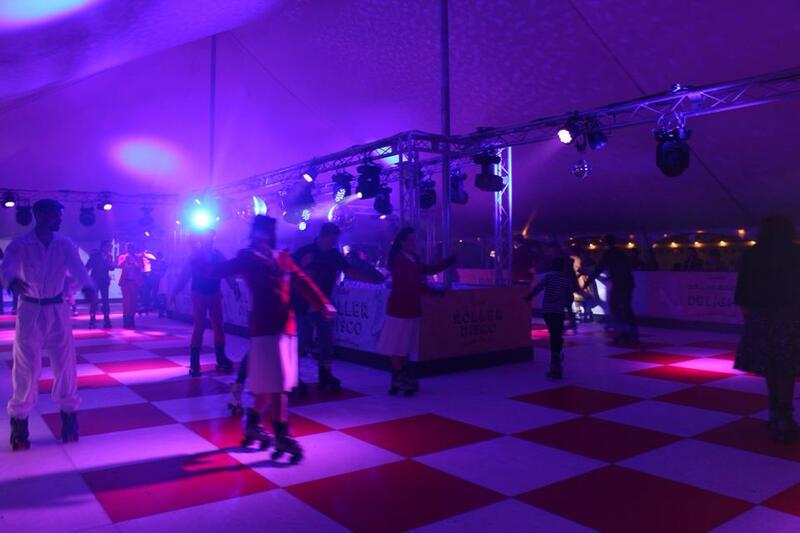 The usually modern roller rink took a step back in time to create a post-war atmosphere which fitted perfectly with the event. The Beatles, Queen, Abba and Grease all featured on our soundtrack of music being played over the weekend to fit with our 1950’s revival themed event. The skating disco continued all day and was hugely popular with children and adults alike! As the sun went down in the evening our disco lights remained on for a party that lasted deep into the night. 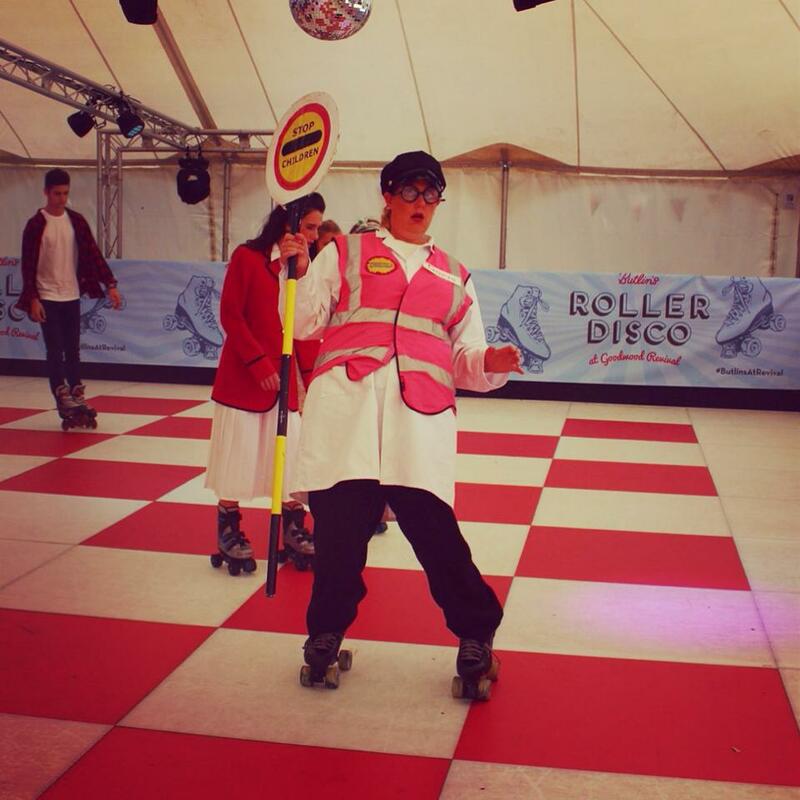 We also held a competition across our social channels where we encouraged those best dressed to take a snap of themselves outside our roller disco tent holding our Butlins sign! 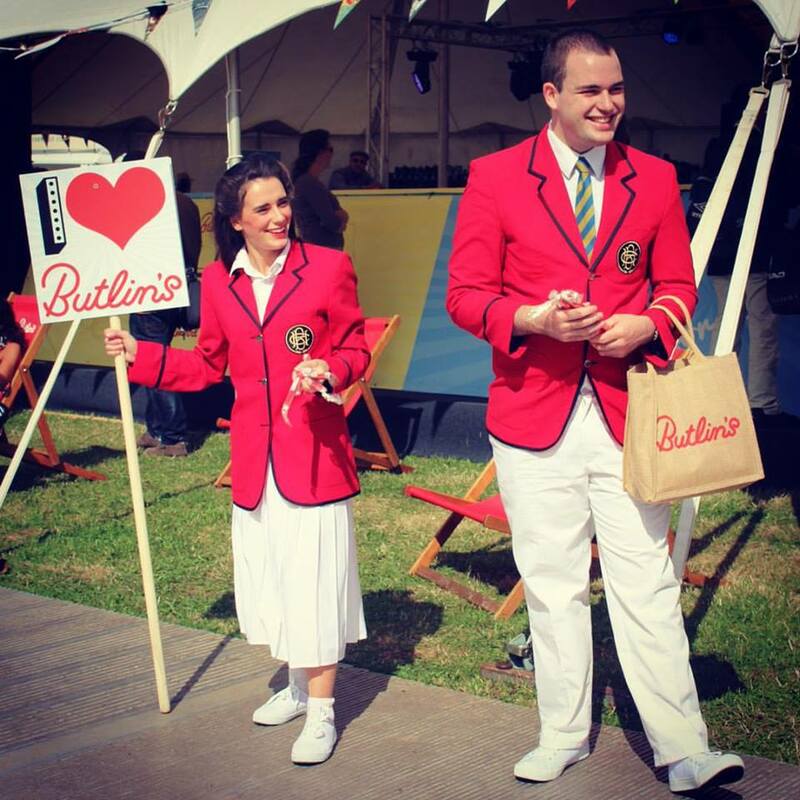 All of us that attended Goodwood had an absolute blast and it was great to meet so many people that had such fond memories of Butlin’s from the past! We even met a previous Bognor Regis Redcoat wearing his vintage outfit from the 1970’s. Hope to see you at Revival next year!